While giving a speech in Washington, D.C., last month, the head of the Federal Communications Commission urged his audience to think about a pressing question: "Is social media a net benefit to American society?" "Given the increasingly important role that social media plays in our daily lives, this is a question that all of us ... need to grapple with," FCC chairman Ajit Pai said in his remarks. Not too long ago, any debate about this would have focused on the feared addictive and isolating qualities of services like Facebook. But over the last year, the world confronted a new dark side to social media: its ability to tear at the very fabric of society. Throughout 2017, there's been a steady drumbeat of damaging headlines about fake news, polarizing filter bubbles and Russian propaganda campaigns spreading across Facebook (FB), Twitter (TWTR) and YouTube, threatening to sow division among voters. The tech industry, once a darling of Washington during the Obama administration, now faces strong criticisms from both sides of the aisle over their inability to police massive platforms that can number in the billions. Last month, executives from Facebook, Twitter and Google (GOOGL) were grilled by Congress over their role in the 2016 election. In one memorable exchange, Sen. John Kennedy, a Louisiana Republican, said he was "very proud" of the three "American companies," but added: "your power sometimes scares me." Sen. Dianne Feinstein, a Democrat from the companies' home state of California, echoed Kennedy in one of the Congressional hearings. "You've created these platforms, and now they are being misused," she said. "And you have to be the ones to do something about it, or we will." Franklin Foer, author of World Without Mind: The Existential Threat of Big Tech, describes 2017 as a "turning point" for questioning the growing "concentrations of power" in the technology industry. "When these guys were on the rise for a decade, they held enormous cultural prestige and they were generally beloved," Foer told CNNMoney. Now, he says, "you do have the sense that these companies are on the defensive." For years, these tech companies have touted themselves as tools to make the world a better place. Facebook pitches itself as a way to "bring the world closer together." Twitter has frequently said it's a "global town square." And YouTube's mission statement is to "give everyone a voice and show them the world." But time and again this year, those idealistic ambitions have crashed into a darker reality -- both at home and abroad. Facebook has been described as enabling ethnic cleansing in Myanmar. Facebook's WhatsApp was cited as a cause of beatings in India after a fake news story went viral on the messaging service. Google has come under fire for child exploitation videos on YouTube. Twitter was panned for not removing a controversial tweet from President Trump that North Korea deemed a declaration of war. The damaging headlines extend beyond social media. Apple (AAPL) has been criticized for aiding censorship in China. Amazon (AMZN), too, has come under some scrutiny as a possible monopoly as it bulldozes into new industries. There is a growing awareness of the tech industry's potential to be a force for bad as well as good. And it happens to come at a time when Silicon Valley is a facing a broader crisis of confidence for how it treats employees, customers and the law. Uber, the world's most valuable startup, has been accused of dodging regulators and engaging in espionage, hacking and bribery. Google has come under scrutiny for how it pays women. Tech executives and venture capitalists are facing sexual harassment allegations. Yahoo users learned that every single account -- all three billion of them -- was hacked. So far, these concerns have yet to hurt stock prices in the tech industry, nor has it shifted public perception much. YouGov, a market research firm that conducts surveys, says there has been "no significant change" in the brand health of companies like Facebook and Google this year. But legislators have become more critical of these companies, and to some extent, company insiders have become more openly critical of themselves and their work. Former Facebook exec Chamath Palihapitiya recently made headlines for sharp criticisms of social media in a speech. "We have created tools that are ripping apart the social fabric of how society works," he said. Palihapitiya and other tech employees also opened up to CNNMoney last month about feeling guilty for the damage caused by the products they built. Indeed, the sense of atonement goes all the way to the top. In a remarkably candid post for Yom Kippur, Facebook CEO Mark Zuckerberg apologized for "the ways my work was used to divide people rather than bring us together." In Silicon Valley, the solution to technology problems is often more technology, such as better algorithms and new artificial intelligence. But this year, tech companies have begun to devote more real people (and real money) to solve their credibility crisis. Facebook said last month it would double the number of people working on safety and security to 20,000, though it's unclear how many are contractors. Google is also planning to hire 10,000 people to clean up YouTube. These proactive moves may help reduce the odds of additional regulatory scrutiny, according to James Cakmak, an analyst with Monness, Crespi, Hardt. But the dark side of social media isn't likely to go away. Tech execs now admit as much. 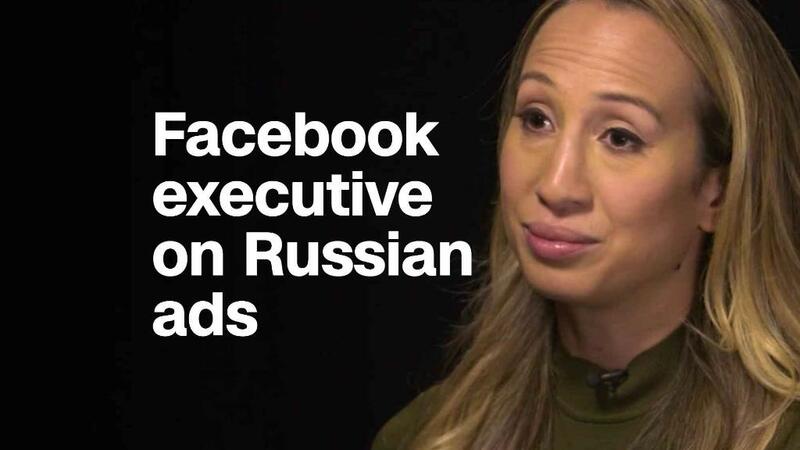 "It's super important to acknowledge that connecting everyone and giving everyone the ability to share is not necessarily always a good thing," Adam Mosseri, the Facebook VP in charge of News Feed, said at a journalism event in October. The remark came in response to a question about whether humanity would come to regret giving everyone the ability to publish content. "In the end, I don't think we as a human race will regret the internet," he said, "But I do believe there will be costs of connecting the world." This may go down as the year we began to recognize those costs more clearly.